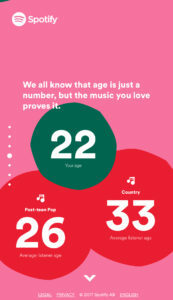 Spotify released 2017wrapped this week which connects to your Spotify and curates your top played artists, songs, stats about your music taste, and more. 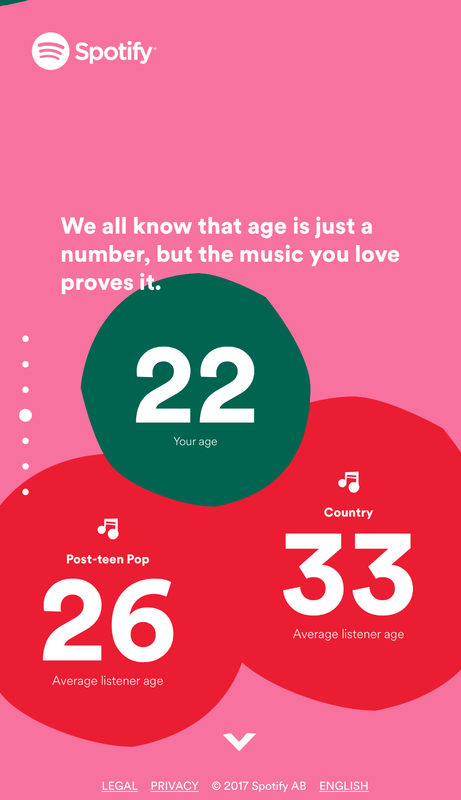 What do 22 year olds listen to then?! This is mine. If you know anything about me, this list comes as no surprise. I’ve waited for years for Kesha to release her latest album, Rainbow. I cried at 6am when I listened to “Praying” for the first time. I may or may not have woken up my husband from my sobbing. 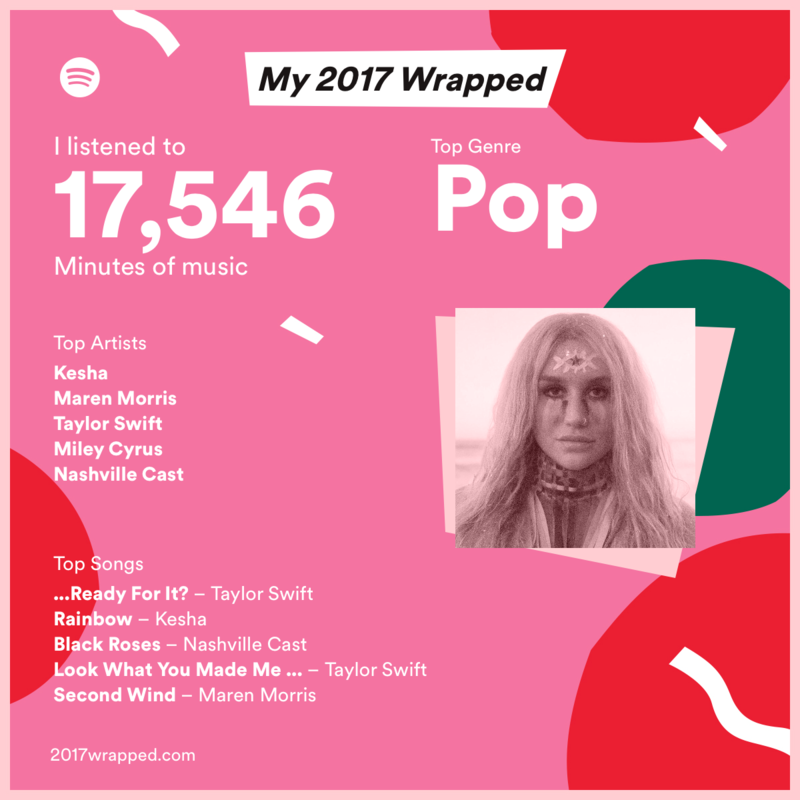 It makes sense that “Rainbow” is on my top songs list, I believe it is an extremely underrated song. I think the whole album deserves more recognition and praise than it’s received but life moves on and so does music. Maren Morris has been a crazy girl crush since “My Church” played on the radio. I love not only her music but also her no B.S. attitude. I think the moment I crossed over from music fan to loving her more was when she tweeted that her meet and greet profit would go towards music education for kids, OH and should she have tequila there too? Yes and yes! “Second Wind” became a car anthem for a while this year when I was going through some growing pains. Love, love, love. The best date to Maren! Side note: I was fortunate enough to see Maren in concert with my friend Bri and Kesha in concert with my patient husband. Best year for concerts probably ever for me. No surprise that Taylor Swift is back and better than ever. Since Spotify can’t track how many times I played each song after purchasing it on iTunes…I have to say, I think “Getaway Car” and “Don’t Blame Me” are probably higher on this list. Miley Cyrus released her latest album, “Younger Now,” and I’ve been all for it. The first time I heard “Malibu,” I was driving with my friend, Christina, to work and we no joke spent the following hour and a half drive replaying this tune. Another favorite from the album is “Rainbowland” with Dolly Parton. I love me some Dolly! I’m someone who is easy to get comfortable with taste in clothes and music especially. Sure enough, Spotify even left a reminder to “keep discovering,” probably because I skipped 300+ songs. Oops! I like what I like! Were you surprised by your top plays?